When my cousin Jaclyn came to me a month ago asking about 21 Day Fix and Shakeology, I knew she was going to have great results. As a busy 20-something who often ate convenience foods and had been unsuccessful in finding a consistent fitness routine, I knew she’d do well on the program if she stuck to it! She blew me away with her results – this is just ONE round of 21 Day Fix! She’s in my current challenge group as well and I’m sure she’ll be blowing us away again at the end of this round. Jaclyn repeatedly tells me how much better she feels physically – while the results I share often showcase the change on the scale and the before and after photos, the mental side is SO much more important. These programs truly have the ability to change people’s lives – and not just because they wear a smaller pants size. I relate a lot to Jaclyn’s situation as I found success with my first home workout program when I was the same age. 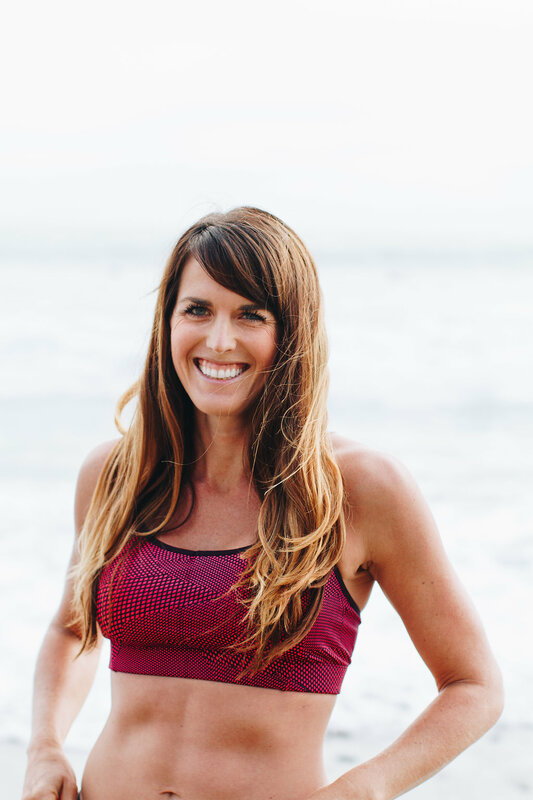 It spurred me to get into running, triathlon and to change my eating habits for the better – all of which resulted in me having more energy and being happier, more confident and fueling my body for the right reasons, not the wrong ones. I truly hope that Jaclyn continues to make health and fitness a priority and turns this into a true lifestyle like I have! Jaclyn’s story is another example of why I LOVE coaching and why I believe in these programs so much! 2) Which program did you do? 3) Why did you decide to join the challenge group? Nicole is my cousin and she’s really inspiring. I’ve been wanting to join a group for workout accountability and thought this would be a good path. 4) What was your biggest obstacle during the program and how did you overcome it? Biggest obstacle was consistently finding time to fit in the workouts. I started waking up at 5am to do them and it was hard at first but ended up being great! 5) What would you say was your biggest struggle prior to the program (i.e. consistency in workouts, motivation, having time to workout, meal prep, eating healthy, snacking, eating out too much, etc….)? I’ve always played sports where I was told what to do or had a set time to be somewhere to be active. As an adult it was hard to push myself to be accountable to workout. Plus loving pizza and beer didn’t help either. 7) How did completing the program make you feel? I felt great completing the program and felt accomplished. 8) Share any physical results and the timeframe that you achieved them in. Lost 10lbs and 4inches overall! 9) What was your favorite thing about the challenge group itself (not the workout program, the actual community of the challenge group)? Definitely a positive was the accountability and positive support. Thank you Jaclyn! You have a lot to be proud of! Join my next challenge group, starting April 16th! You’ll get a fitness program, nutrition plan and daily accountability from me, two other coaches and your fellow challengers! Get more info and sign up here. « Does (Belly) Size Matter?